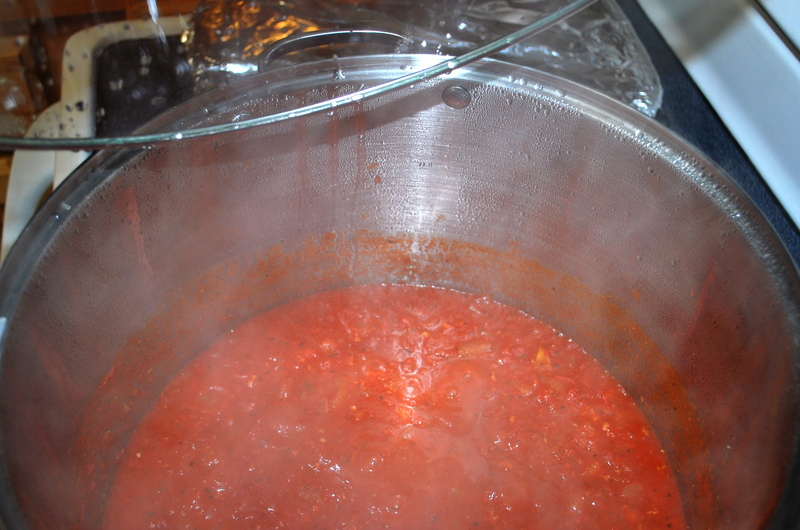 On my most recent trip home, my Mom and I decided to make some homemade pasta sauce. And by my Mom and I, I mean she made the sauce while I documented everything. With all the ingredients laid out it was time to get to work! 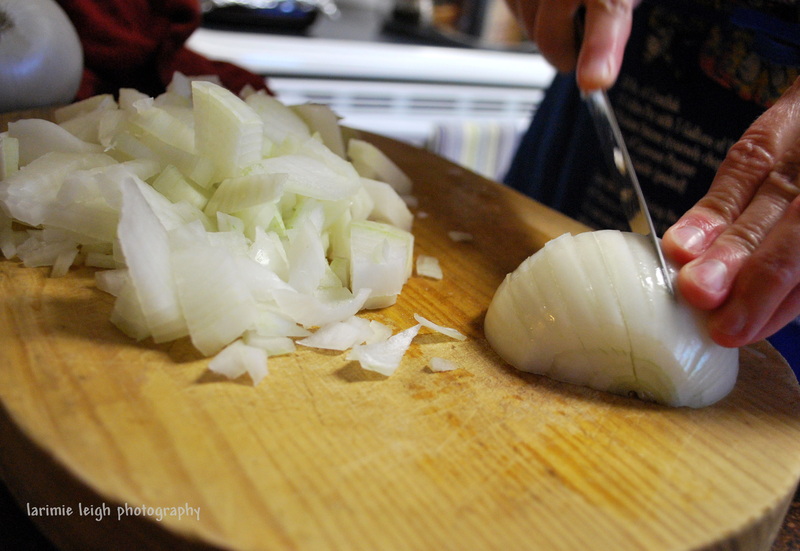 First, we chopped up a couple of onions. 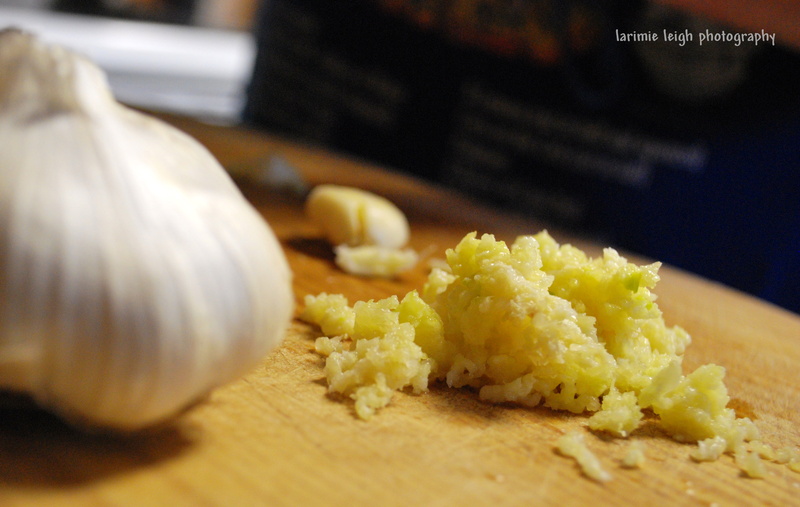 Then we minced a little garlic. Love me some fresh garlic! It totally kills your breath but man it tastes SO good!! Side note: As an appetizer, heat up a loaf of French bread. While that’s in the oven, put a little(I prefer a lot) of the fresh minced garlic with some EVOO, red pepper flakes and ground black pepper. 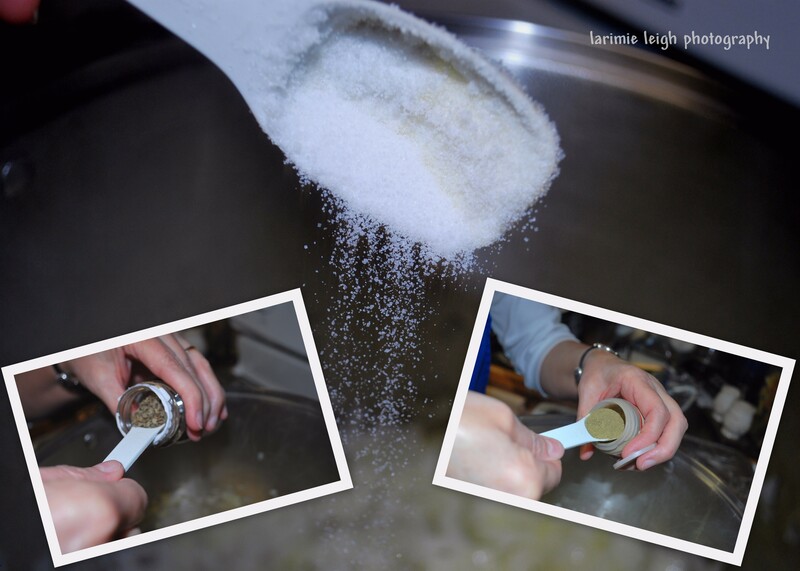 When the bread is ready, tear and dip it in the mixture. D-lish! We put the onions in a huge pot with a little EVOO(extra virgin olive oil) and set the heat to medium. 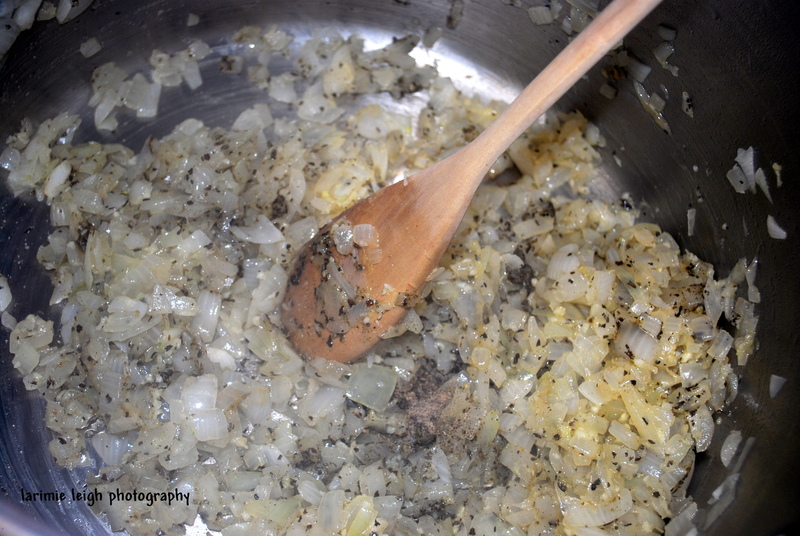 Then we added the garlic, a little sugar, oregano and pepper. Then we let the onions cook until golden brown. 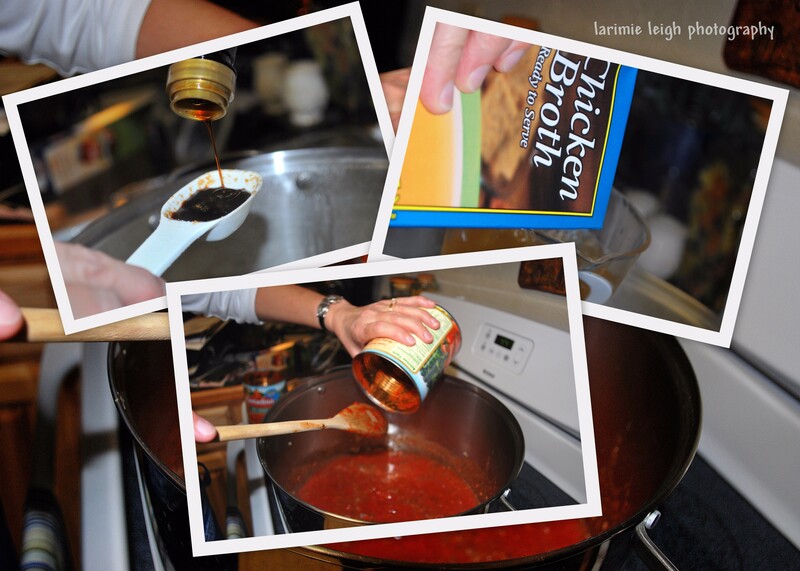 After that, we add some balsamic vinegar, a couple cups of chicken broth and 3 cans of crushed tomatoes. It was time to prep for ah spicy meat-a-ball! 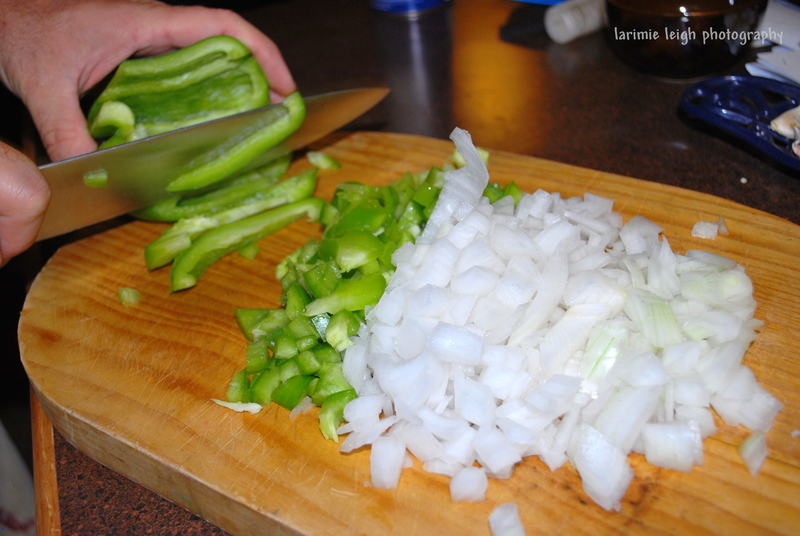 First we chopped up a green bell pepper and one small onion. 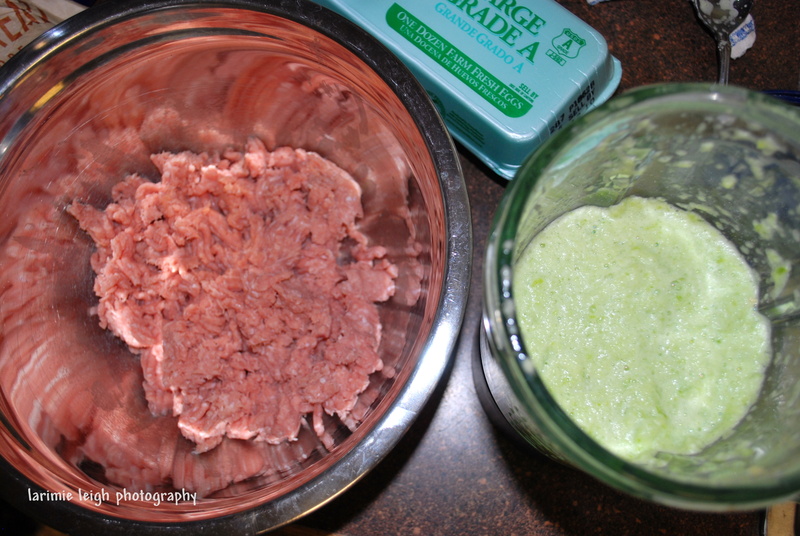 Then we put that into a blender topped it off with a little fresh garlic and blended until it was a nice consistency. We added the mixture to a pound of ground turkey, tossed in a few bread crumbs, an egg and a little S&P. We formed the meat into small balls and placed them on a cooking sheet. They cooked for about 25 minutes at I don’t remember what temperature. 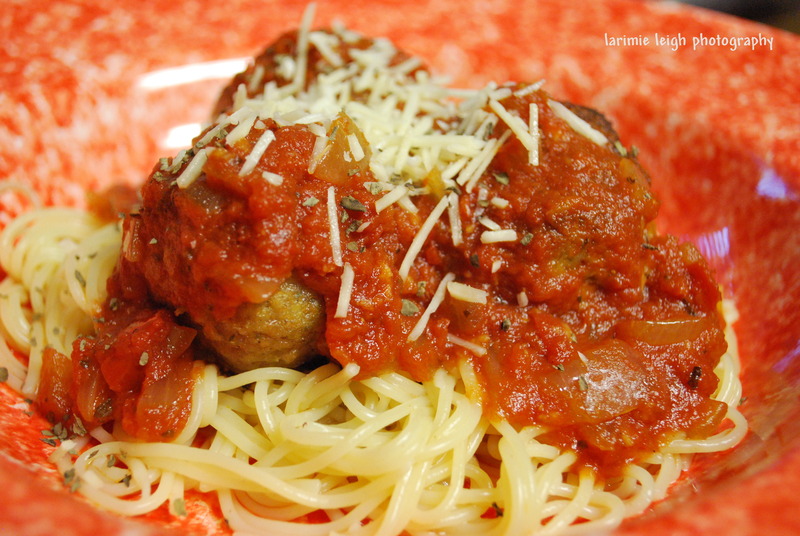 The end result of all that hard work…Delizioso! Eccellente! Let me know if you’d like the recipe. It’s delicious and totally worth the effort!